Moving is stressful. The day arrives and suddenly everything is scrambling and chaos. There you are in the center of it all, trying your best to make sure everything is in order. One guaranteed way to make your move less hectic is hiring professional movers. Professional movers make will make your big move a lot easier, and you can feel even more prepared by helping out. How? 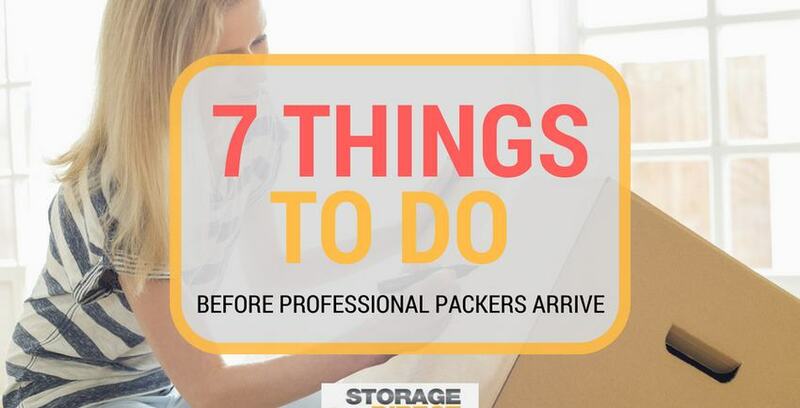 Try making these seven preparations before the movers arrive. Just because someone else is going to pack and move your things doesn’t mean it isn’t a good idea to go through everything first. Make your way through your things and decide what you want to keep, what you want to throw away, what you want to put into storage, and what you want to donate. There’s no point in paying someone to move things you don’t even want anymore! Everyone has possessions that they’re not comfortable with other people handling. Don’t wait until the movers arrive to start pulling things from here and there to move in your own vehicle. Find your valuable items, collectables, mementos, paperwork, and other important items ahead of time so you can label and pack these fragile items separately to make sure they’re safe. Depending on the items you’re moving, it might be a good idea to look into getting moving insurance. Read up on the options available to you and understand the differences between programs before deciding whether you want to invest or not. You may know exactly where you want everything, but your movers don’t. Labels will help keep the unloading organized and convenient. Categorize your boxes by room and label each of them by where you’d like them to go. Label large items with tape and signs to make sure movers make no mistakes when transporting things so a.) you don’t lose anything and b.) you don’t have to haul anything from the wrong place to the right one. Make sure you know the easiest way for your furniture to get out of your home. It’ll make the mover’s job easier and lower the possibility of damage. Measure your doors to see if furniture can get out and disassemble bulky furniture pieces if they can’t get out whole. You can protect your furniture further by wrapping it in blankets or protective pads ahead of time, as well. Make sure to throw out or take care of things that movers won’t handle: perishable food items, houseplants, etc. Clean up! Your clothes, dishes, toiletries, and similar items are a lot easier to move if they’re not dirty and all over the place. When the movers come, anything can happen. Make sure you talk to your family before moving day about how to stay out of the way and safe. Keep an eye on the weather and consider alternatives if it starts pouring rain or if your moving day ends up incredibly hot. Long story short: be prepared. Remember: moving can be tough, but it doesn’t have to be. When you put a little work in ahead of time you’ll save yourself hours once you’re in your new home. If you’re looking for more moving help from the experts at Storage Direct, check out another of our posts: 6 Common Moving Day Mistakes and How to Avoid Them.